"Microscope- a magnifier of of small objects"
Zenith Microscopes have been supplied to Education, Medicine and Industry for over 35 years and during this time they have been held in high regard for the rare combination of quality performance and value which they offer. We carry from stock a range of blank and prepared microscope slides, dyes, mountants and accessories allowing you to get the most out of your microscope. The purpose of a microscope is to see objects undetectable to the naked eye by means of an enlarged image, and at Sherwoods we have a comprehensive range of high quality biological microscopes from trusted manufacturers. Celestron microscopes are developed specifically for the purposes of research, and our ranges have a modern, stylish design, and their high grade optics make these biological microscopes popular for study and professional purposes. We also stock Celestron LCD microscopes, such as the Celestron LCD Deluxe which is ideal for group study. Other microscopes from Celestron include the Celestron Digital & Optical Microscope, a dual purpose instrument suitable for home and field work and offers excellent value for money. 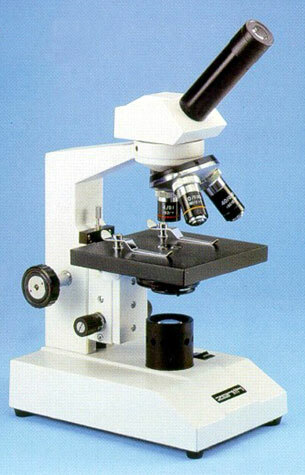 Zenith has spent over 35 years developing biological microscopes for education, medical and laboratory study. Zenith microscopes are highly regarded in the industry, promising quality and value. These microscopes come with anti-tamper safety features to avoid disrupted settings, which can be a risk when being used by a number of students throughout the day. Microscope slides are used to hold examination samples placed under the focal lens. Once specimens are mounted on to microscope slides, they can be inserted individually under the microscope for careful examination, where they are held in place using slide clips. At Sherwoods we supply a range of microscope slides and accessories, such as Celestron slide kits which are specifically designed for flower and root specimens. We also have blank microscope slides, slide covers, slide boxes, slide labels and stains.